Beautiful circular ring necklace with freshwater pearl engraved with your message on the inside. 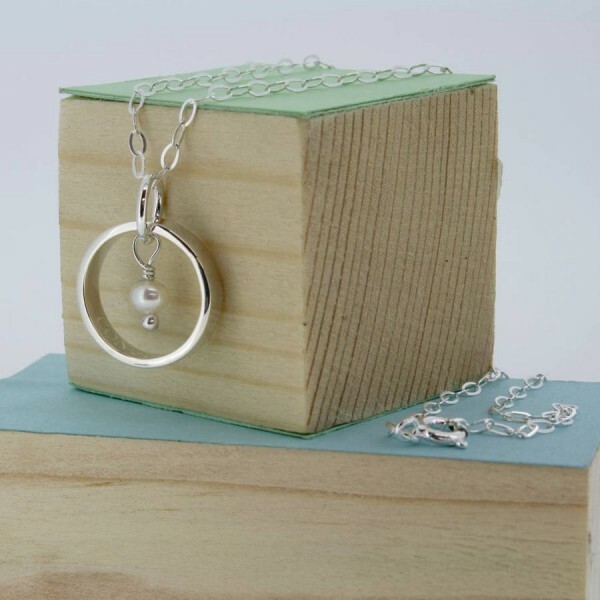 This necklace is designed and handmade in Cornwall from sterling silver and freshwater pearl. 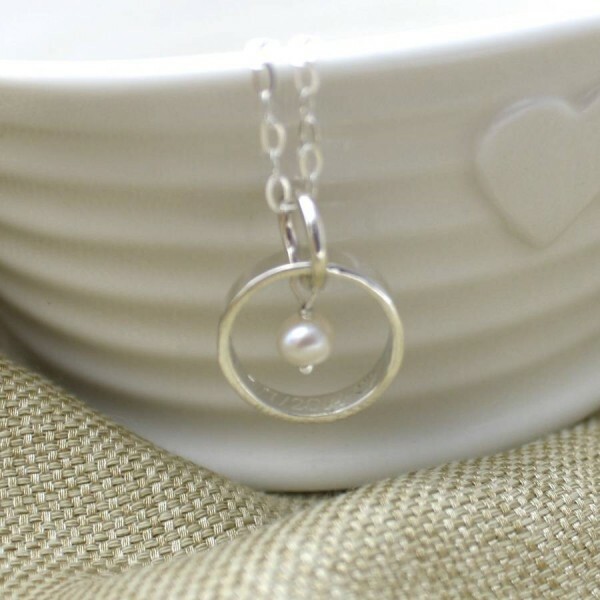 It is a popular necklace for brides and bridesmaids as a short message can be engraved on the inside to remind you of the big day. As the message is hidden inside, only you know it’s there. 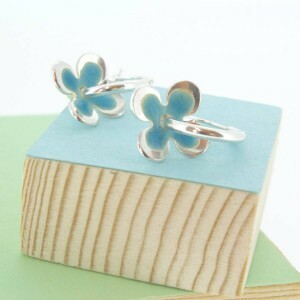 It would look great with a simple pair of pearl studs. 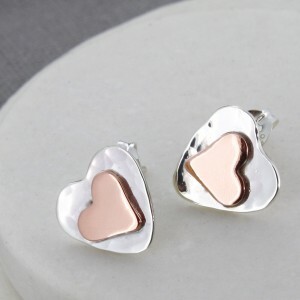 A perfect gift to mark any occasion such as a graduation, birthday, anniversary or Christmas. Sterling silver and freshwater pearl. Please only use a silver cloth to clean this item. 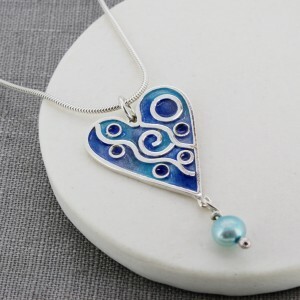 As pearls are absorbent, please don’t spray with perfume or any other chemicals. The ring is approximately 4mm wide and 17mm across. 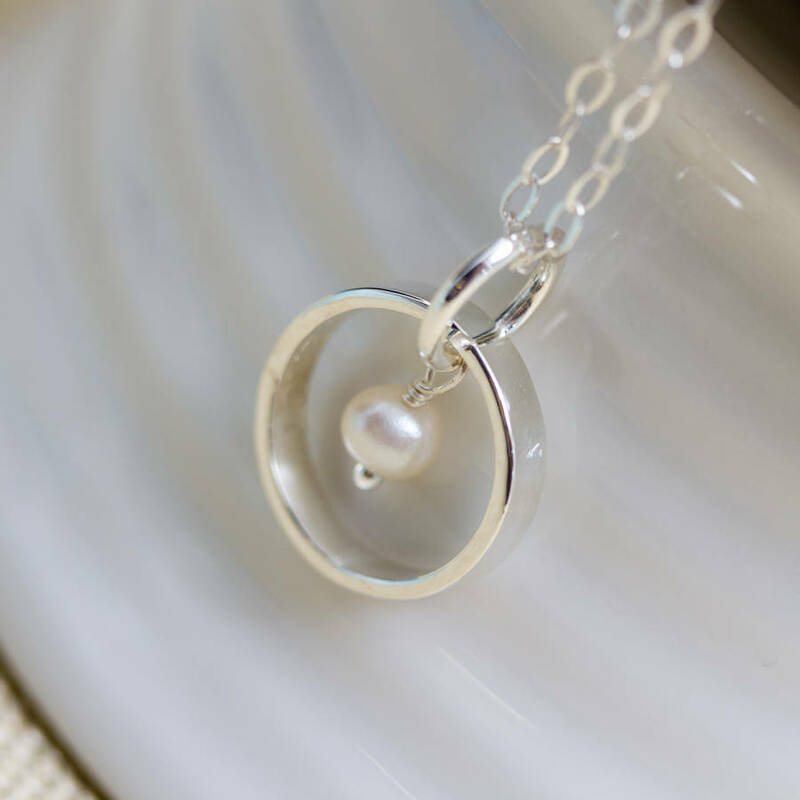 The pearl will measure from 5mm to 7mm. Because this item is handmade, these measurements may vary slightly.